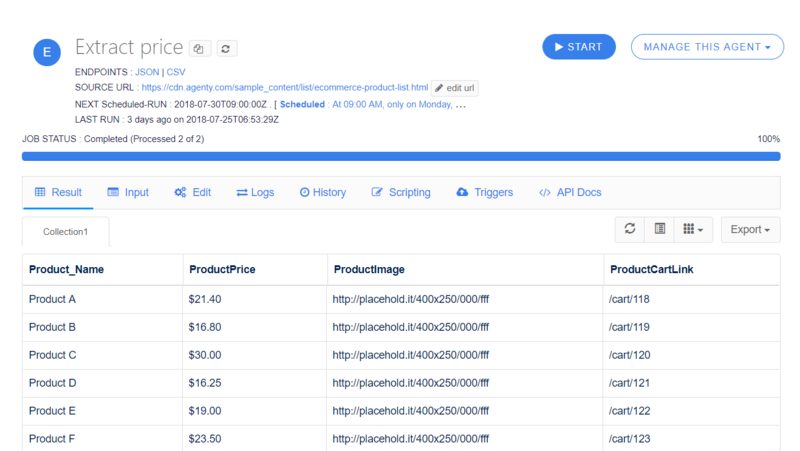 Whether you need to track competitor price, or looking for data feeds to train your AI algorithms, Agenty Scraping Agent platform and the built-in API helps you offer a wonderful web scraping experience in cloud. Scrape data from any website - Pagination, Infinite scrolling, list-details click through or behind login pages. A powerful data scraping engine that makes it easy to extract data from websites of choices, no matter the complexity of web. Setup your scraping agents with simple & powerful point-and-click Chrome extension designed to create web scraping agent quickly using CSS selectors. Automatic IP rotation and highly anonymous proxies to scrape any website. Extract content as seen by real-human in different location, using our geo-based IPs. Extract data from unlimited pages in single agent. Simply enter the website URLs in agent input, or upload a URL list to extract batch URLs automatically. Crawl the web at scale, Agenty cloud architecture is designed to extract data from websites simultaneously. Run as many agents simultaneously, as you want. Scrape website behind login, drop-down, complex pagination or AJAX based infinite scrolling. Agenty scraping agent has the features, to automate it all! Get your agents setup and maintained by the engineers, who built the scraping agent in Agenty. Power your business with the data it need. 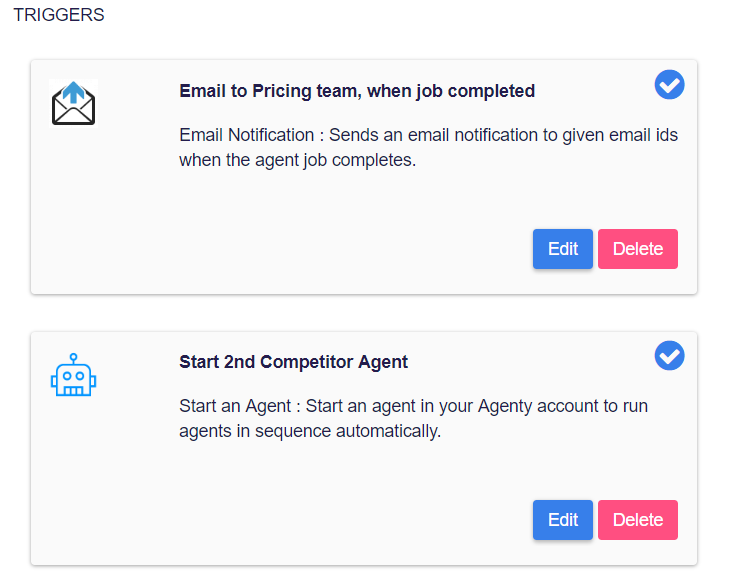 Train your agent with simple point-and-click Chrome extension. Extract text, html or attributes(like hyper-links, images etc) with one click. no programming required! 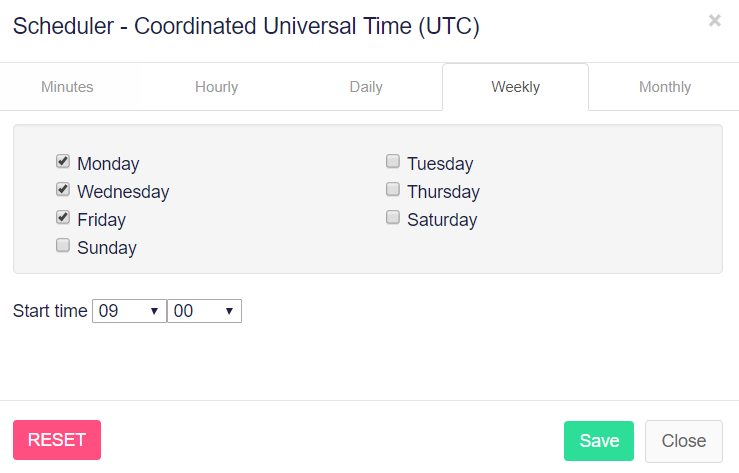 Flexible scheduling option to let your agents run hourly, daily, weekly or any particular day(s) in a week to scrape websites automatically. 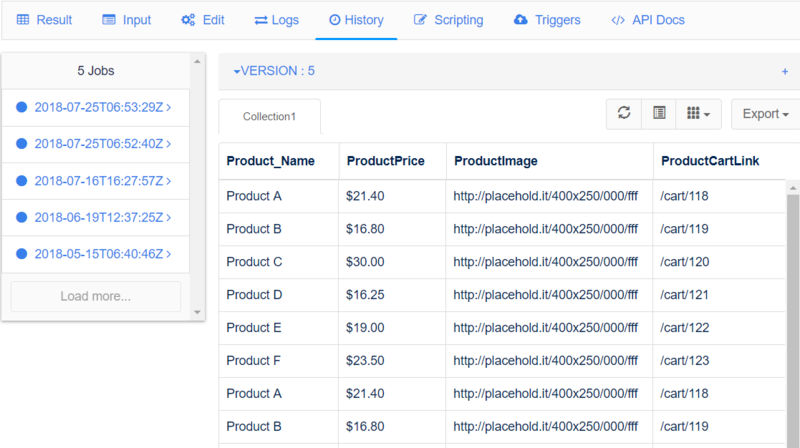 Drag-and-drop scraping agent editor to change the configuration you want e.g. add a new field, remove field or just change the new selector if website changes. Go to history tab to see or download all your previous run result, for all agents. Accessible by version number and execution date. Use triggers to send email notification, result as email attachment or Post data to server using webhook(HTTP:POST), Google spreadsheet, Amazon S3 and more. Unlimited possibility with scripting. 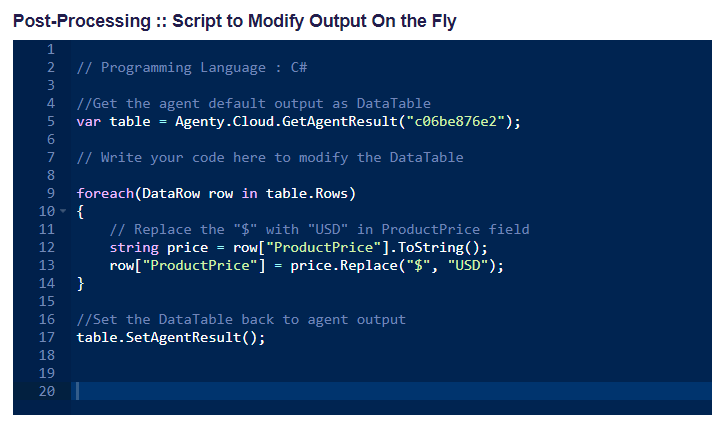 Write your own custom logic to modify the scraping agent result (or the input) using C# programming language. 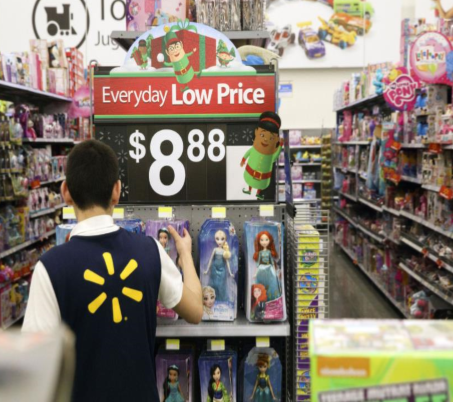 The Statistical department of Slovenia tracks and monitor the prices of retail products online, that often have thousands of SKUs from hundreds of websites. See how the department was able to use Agenty to automate their data scraping, transformation and validation using scraping agents.